Tech & The Net | Whateverlah! I like this so I’m sharing these tips and tricks of using chrome..
What’s the first thing you do when you start up your web browser? If you’re like me, you’ll see a number of tabs from the last time you were browsing. Or perhaps a single homepage. Many of us take the time to customize these options, because we have certain preferences for what we like to see when we first get down to browsing. Now let me ask you another question – what do you see when you open a new tab? Many people don’t customize this, and see the default that comes with their browser. The Google Chrome Default New Tab “Speed Dial” Page is nice, and I personally prefer it to having a blank new tab (which was what I had for a long time with Firefox). However, I wasn’t completely satisfied with it – so I went looking for different options to customize it. In this article, I’ll show you some different extensions to customize your new tab/start page – as well as reveal to you my personal favorite. What Does It Do? Replaces your chrome default new tab with a totally blank page. Why Is It Cool? Don’t want everyone to see your speed dial page? Constantly tempted with your favorite websites when you’re working? Go back to the good old days of blank tabs. Where Can I Get It? Check it out, Empty New Tab Page. What Does It Do? Replaces your chrome default new tab with your Google Tasks. Why Is It Cool? Need regular reminder for what you have to work on? Check out this extension, and you’ll see your tasks all the time. Where Can I Get It? Check it out here: New Tab To Tasks. What Does It Do? Replaces your chrome default new tab with a page showing just the time, or the time and the current project you are working on. Why Is It Cool? Never lose track of time mindlessly web browsing again! You’ll constantly be reminded what time it is. Where Can I Get It? Comes in two varieties, the simple one you see above: New Tab with Clock and New Tab With Clock and Current Project Entry (which includes a text box for a single task or project you are working on). What does it do? New Tab Favorites replaces the chrome default new tab with a page listing your selection of websites. Why Is It Cool? You can easily manage the list to fit it to your own needs. You may be able to do this with the regular Google Chrome page, but some may prefer the interface of this extension. Where Can I Get It? Check it out here: New Tab Favorites. What Does It Do? A beautiful, simple new tab that shows large icons for 4 sites that you specify. Why Is It Cool? Most of us visit the same websites over and over. This provides a simple way to navigate to those common websites, and you can even use keyboard shortcuts (1,2,3,4). Did I mention it looks great? Where Can I Get It? Check it out here, Fav4 New Tab Page. What Does It Do? A beautifully designed, powerful start page featuring your bookmarks, recently closed tabs, and even a little area to leave yourself notes. Why Is It Cool? Contains the most options of any start page I’ve seen, and looks great to boot. Currently my favorite start page. Where Can I Get It? Check it out here, Incredible Start Page. What Does It Do? A simple extension that replaces the new tab page with a to do list. Add it and watch your productivity soar! Why Is It Cool? No fancy graphics or widgets to distract you, this intuitively designed start page helps keep you on task. This is the start page I used for a long time, to help me keep track of short term tasks as I was browsing/researching. Where Can I Get It? Check it out here, Things To Do. What are your thoughts? Do you care about what your new tab shows? Any extensions or options you’d like to share? Sid Savara is a a lifehacking fanatic. Visit Sid’s website for more information about how to get motivated and analysis driven personal development. Sign up for his newsletter and pick up a copy of his free motivational quotes book, The Little Book Of Big Motivational Quotes. 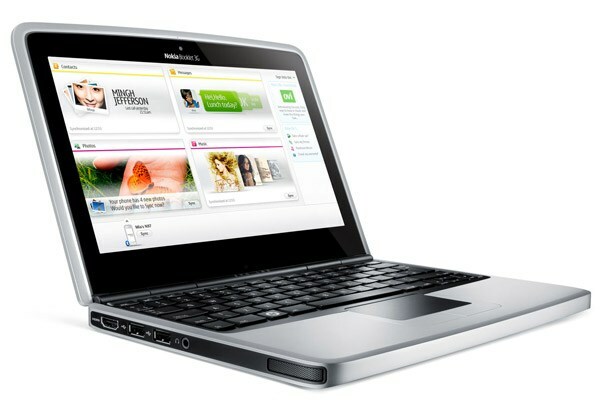 Nokia enters the netbook market. Nokia calls it the Booklet 3G, I’d say it look or concept is a lot like the Foleo … perhaps done better. I am not saying it’s done right yet because I still need to dig up the specs and the price. Nokia rocked the world this morning by introducing its spin on the laptop, called the Booklet 3G. If you’re the rude sort you could call it a fancy netbook, what with its Atom processor and 10.1-inch display, but that screen is higher res than your average Eee, and it also sports integrated 3G wireless and a hot-swappable SIM card, so it’s definitely trying to define its own niche. It looks to be running Windows 7, which isn’t particularly netbooky, and also has integrated A-GPS with a copy of Ovi Maps, HDMI output, a rated 12 hour battery life, and the usual Bluetooth and WiFi connectivity, all in a 2cm (.78 inch), 2.7lb aluminum body that’s understated, sophisticated, and should make most Nokia fans very happy — Nokia fans who are looking for a tiny laptop, anyway. No word on anticipated release date or price just yet, but we’ll be learning more at Nokia World 09 on September 2. We promise not to make too many Foleo references. Nokia introduces Booklet 3G ‘mini laptop’ originally appeared on Engadget on Mon, 24 Aug 2009 07:33:00 EST. Please see our terms for use of feeds. This is indeed good news. Now, if only the people with symptoms and are supposed to observe a self quarantine at home do so honestly. Stay home, you get your much needed rest and you help keep the spreading of this swine flu at bay. Do your bit for the community. Sacrifice the shopping mall for 1 week … the Pasar Ramadhan even. The swine flu (aka H1N1) isn’t really a hot topic anymore (when compared to the situation a few months ago), but it still remains a big problem. Today Sanyo of all companies made an announcement in Tokyo (press release in English), claiming their “electrolyzed water technology” has proven to be actually effective in fighting the nasty virus. Sanyo claims that their new technology, jointly developed with the Gunma Prefectural Institute of Public Health and Environmental Sciences in central Japan, is at least 99% effective in suppressing infectivity for H1N1 (the virus was exposed to electrolyzed water for ten minutes after which this viral infectivity reduction effect was observed). A mixture with tap water served as an example for a viral infectivity residual ratio of 100%. Sanyo says their water destroys the “spikes” of the swine flu viruses, which then can’t stick to human cells anymore to cause the illness. The company is pretty active in the field of “virus neutralization”. In June 2008, for example, it presented a “virus washer system” that’s now in place in a number of movie theaters in Japan and kills off odors, bacteria, viruses and pollen even in large spaces. Yeah … it’s confusing initially. Once you get used to the dials and settings on the camera, you and the camera are 1. Here’s the rest of Canon’s new army of cameras—they don’t do anything crazy, like project baby photos or have an LCD up front take pictures of yourself, but they’re not too shabby. The G11 is ginormous, though. The G11’s vari-angle screen seems plenty bright, but it makes an already huge camera even huger when it’s all splayed out like a tumor growth. It’s heavy too. And complicated. Look at all those dials! The SD980’s touchscreen is responsive enough, but the interface is confusing—sometimes it’s touchable, sometimes it’s not. And it uses strange drag gestures, like in playback mode, you hold down for a second, then slowly swipe down, which brings up options to the left or right—swipe left to delete or swipe right for another feature. Confusing and weird. If you’re gonna go touch, go all the way.